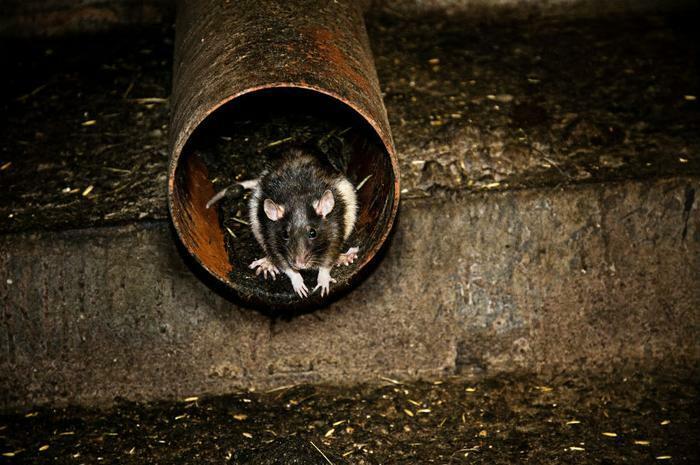 Cities often compete to make various "top 50 lists," but there probably aren’t many that want to make an appearance on Orkin's Top 50 "Rattiest" Cities in America. The national pest control company ranks metro areas each year by the number of rodent treatments the company performed from September 15, 2016 through September 15, 2017, including both residential and commercial locations. Not surprisingly, the list is dominated by America's largest cities. Chicago holds the top spot for a third straight year, followed by New York, Los Angeles, San Francisco-Oakland, Washington, DC, Philadelphia, Detroit, Baltimore, Seattle-Tacoma, and Dallas-Ft. Worth. Plenty of smaller cities also make an appearance further down on the list. Hartford-New Haven, Conn., takes the 16th spot; Portland, Ore., comes in at 17th; Richmond, Va., ranked 25th on the list; and Grand Rapids, Mich., slid into 34th place. Autumn is prime time for rodents. The National Pest Management Association estimates more than 20 million rodents invade homes each year during this time; just like humans, they want to get out of the cold. “Rats and mice begin looking for warmer, more insulated places to get through the winter, and these too often happen to be our homes or businesses,” said John Kane, entomologist and technical director of Orkin’s Midwest Region. Unfortunately, rodents are fond of chewing on wood and wires, and if they get into your walls they can increase the risk of fire. Kane explains how these pests can use almost Houdini-like skills to fit into tight spaces. To keep rats out of your house, start by looking for signs of their presence. Tell-tale signs include droppings, burrows, and rub marks along walls and baseboards. Check around your house, both inside and out, for possible entry points. Installing weather strips around and under doors can help keep rodents out. Ensure that you also store food in tightly sealed containers made of either plastic or metal. Rodents have a keen sense of smell and if they get a whiff of food, they can easily tear or chew through cardboard containers.